Ushuaïa Ibiza Beach Hotel recently announced that they have joined forces with Tomorrowland and Dimitri Vegas & Like Mike for this summer. 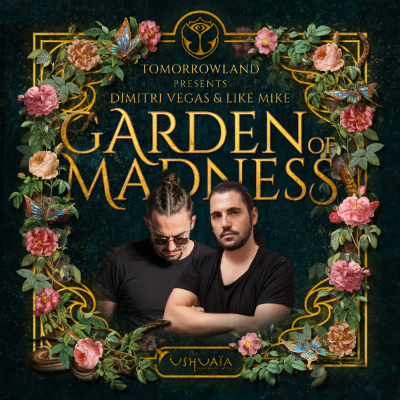 Kicking off on 4 July, Tomorrowland residents Dimitri Vegas & Like Mike will be taking over the decks at Ushuaïa every Tuesday night for two months. The duo’s global reach has seen them expand their ‘Bringing The Madness’ arena show into an 84,000 person event that apparently ‘sells out in minutes’, play dance music festivals, collaborate with the likes of Ne-Yo, Steve Aoki, Diplo, Kid Ink & David Guetta and become the first ever duo to be named World #1 DJ in the DJ Mag Top 100 Poll. Ushuaïa’s poolside parties boast an impressive main stage with state of the art DJ booths, visuals and pyrotechnics as well as a lake-shaped swimming pool and direct access to the beach.